I love mixing blues and greens AND mixing prints with batiks and tone-on-tone fabrics. 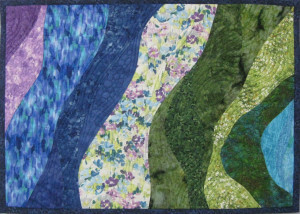 Several years ago I made a mosaic quilt with small square pieces which I named “Gardens and Ponds”. It tries to create curves and blends of fabrics with the design of the mosaic. This winter I wanted to try a new interpretation of “Gardens and Ponds” using curved piecing and some different fabrics. The general color motif is similar but the impression of the colors is much softer with the curved fabric pieces instead of the mosaic piecing. 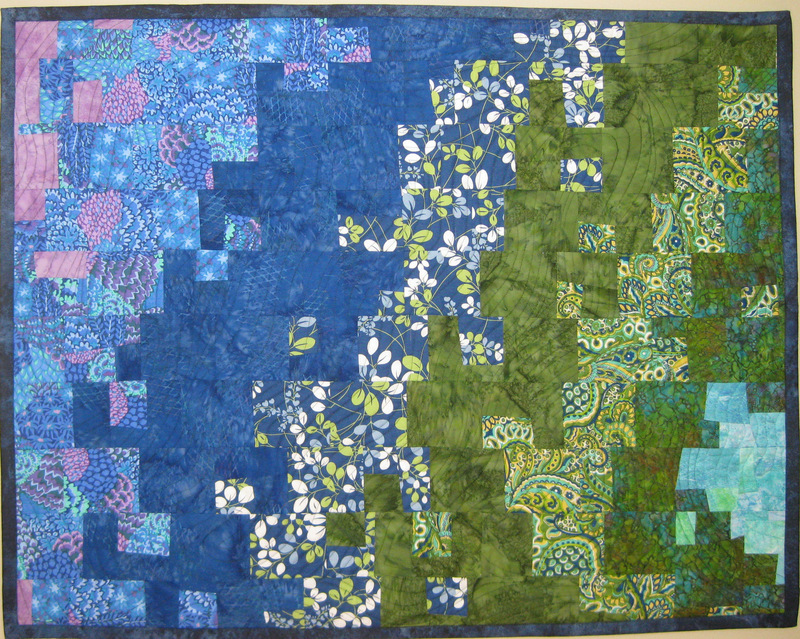 Though, there is no color blending as I was able to do with the mosaic piecing. 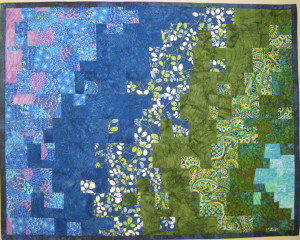 It is fun to try similar designs in different piecing approaches.